You can find some amazing collection of street food items that deliver you with the best taste. Not most of the people are aware of the fact that Ahmedabad’s heart lies in its street food. Ahmedabad’s food, particularly the street food options, has its own flavors. There are a number of vegetarian vents but the non-veg variety is also quite to attract the crowd towards them. If you are visiting anytime soon and are looking for some great options for street food in Ahmedabad that you can try, then here are some of the options that you can indulge in. Kulfi is a common solid dairy sweet from the Indian Province. 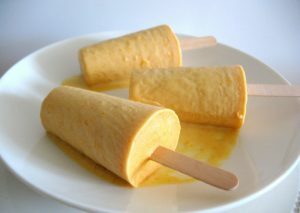 It is often called “traditional Indian ice cream”. It approaches various substances like cream (malai), rose, mango, elaichi, kesar, and pista. Ahmedabad is famous for its “Matka Kulfi”. 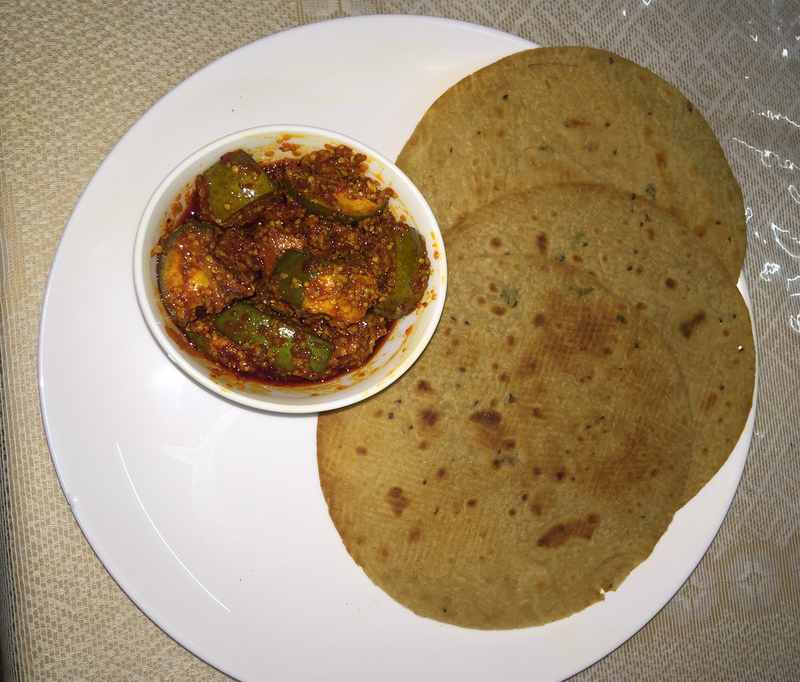 This dish or snack is a classic dish that you can try for your morning breakfast. As it is light-weight, it makes the greatest snack food item for the evening tea. There are many places where you can try the different varieties of Khakhra and other snack items popular in Ahmedabad. These crunchy and crispy Khakhras are one of the masterpieces of Ahmedabad which makes the place quite popular amongst the tourist as well. Khaman Dhokla is a seasoned steamed cake made from gram flour. It is springy and fluffy, with a piquant-sugary flavor which is lite on the tummy and a great healthy fresh veg snack. It feels best with mint or green coriander chutney. This snack can be exposed on every other food stall in Ahmedabad. If you are in Ahmedabad and haven’t tried this popular Maska Bun then visiting Ahmedabad is almost unfinished. One of the most common snack in Ahmedabad, Maska Bun is the best followed by roadside chai. You will find several people trying this snack either in the morning as their breakfast or in the evening just as a small snack. 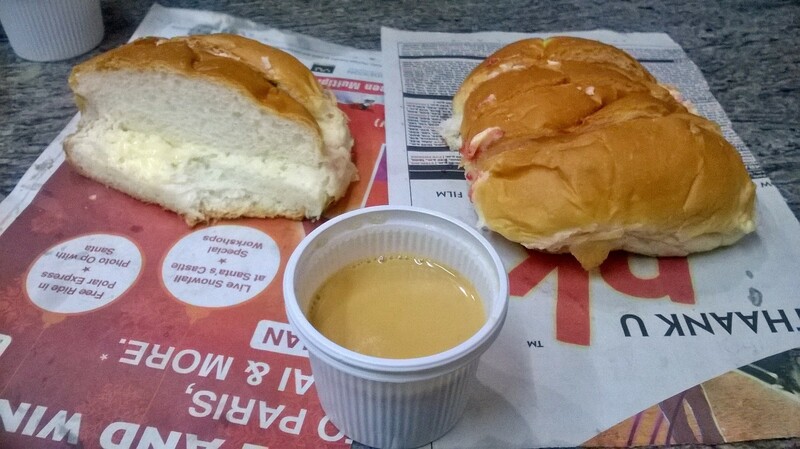 Visit any roadside chaiwala with your friends and make unforgettable memories with a Maska Bun. The important Dussehra sweet of Gujarat, Jalebi-fafda is best tasted when served with Sambhariyo(Fried raw Papaya). 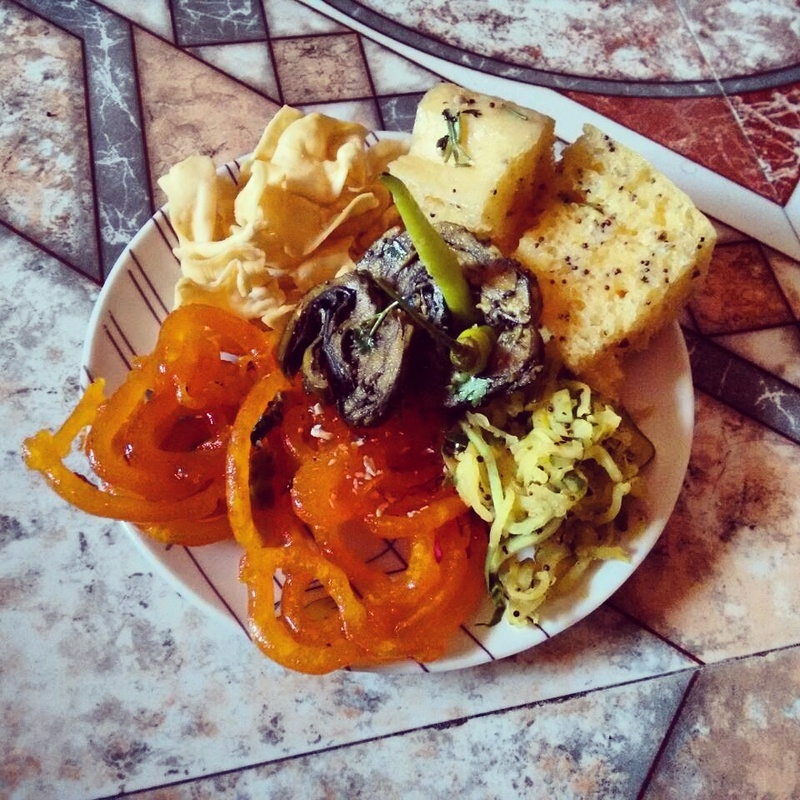 Jalebi is sweet with circles filled with ghee and Fafda is a Namkeen which is made from Besan. Fafda is even in shape. Gujju people go crazy over this sweet. 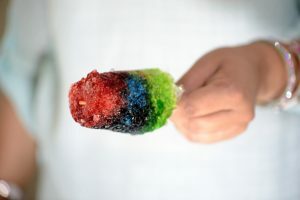 Baraf gola is an ice popsicle. It is a very common Indian street food. Crumpled ice sphere is soaked in different flavoured syrups. It is fast and cool to make. This is liked by one and all, particularly kid’s favourite. You can find a variety of flavors from rose to kala khatta at the streets of Ahmedabad.